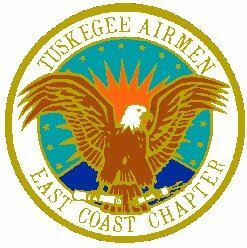 The East Coast Chapter of Tuskegee Airmen, Inc. (ECCTAI) is the largest and the most active chapter in the national organization. The chapter has approximately 180 members with diverse backgrounds that include active duty and retired military, civil servants, and private citizens from all walks of life. More than 50 Chapter members are Documented Original Tuskegee Airmen, combat veterans of World War II who received their military training at Tuskegee, Alabama. Locally, ECCTAI supports many educational, charitable and philanthropic activities, including the Tuskegee Airmen Civil Air Patrol (CAP) Squadron. Chapter members enthusiastically participate in the annual District of Columbia National Guard Aviation Career Day. This event, held at Andrews Air Force Base, attracts more than 2,000 young students each year and gives students the opportunity to meet and talk with members of the military, airline industry, scientific and educational community, as well the Federal, State, and local government organizations as they present career and employment opportunities. ECCTAI supports the national goals of Tuskegee Airmen, Inc., to motivate, inspire and stimulate young people's minds to aspire to, seek and achieve successful careers in the fields of aviation and aerospace. To this end, ECCTAI members devote considerable time, effort and financial resources to capture young minds, to instill the undying will to learn, sacrifice and attain a self-sustaining status with marketable skills. Each year ECCTAI provides more than $15,000 in Education Assistance grants. From the darkness of ignorance and oppression climbs the young American Eagle, rising swiftly into the bright sunrise of new opportunity and challenge. Guiding his rise are the illuminating stars for the supporting elements - women and men, military and civilian, essential groups and individuals. In his claws he carries the armament of education and the ability to fight for right - the scroll and the arrows. The young eagle looks to the side of the heart, flying to the defense of the highest principles of humanity. He embodies pride, potential and progress. The American eagle is central to the design of the distinctive ECCTAI Chapter Seal. At the dawn of Western civilization 5000 years ago, Egyptian and Assyrian kings and priests chose eagles as symbols human and superhuman power. It embodies might, nobility, strength, and represents courage, conquest, freedom, independence, magnanimity, truth and immortality. Congress adopted the American Eagle as our national symbol 20 June 1782, having been prominent in the New York State coat of arms since 1778, and subsequently, incorporated in the state seals of Arkansas, the District of Columbia, Illinois, Iowa, Michigan, Mississippi, Missouri, New Mexico, Oregon, Pennsylvania, Utah and Wyoming.